I would like to inquire about your property Bayut - 966-ML-S-0063. Please contact me at your earliest convenience. Mixed use lands of total 300,000 Sqft for sale near Fanoos ( Lamp Round About ) on the Airport Road in Al Qusaidat. Suitable for any type of investments or projects such as hospitals, hypermarkets, educational institutions , residential projects etc. Near to all the major amenities of RAK City - Malls are within minutes drive , hospitals are 5 minutes away and major educational institutions are 10 minutes away. 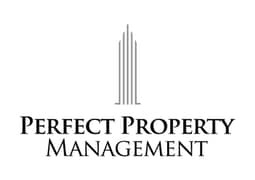 PPM is a leading property total solution company in UAE which is based in RAK. Our challenging prices beside the comprehensive high quality services we offer for tenants and to the owners in terms of managing,maintenance and developing represent the values which every investor and every tenant seeks in this economic era of opportunities.